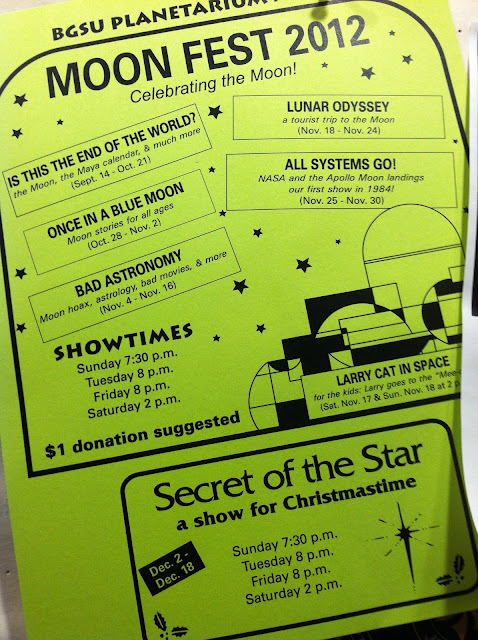 The theme of this semester's planetarium schedule is "Moon Fest 2012" and I'm very excited about the lineup over the next few months! I'm particularly intrigued by the shows "Is This the End of the World?" and "Bad Astronomy" because of their presumed promotion of skepticism!